Are you a music lover? I am, and I love to have music accessible anywhere I go. 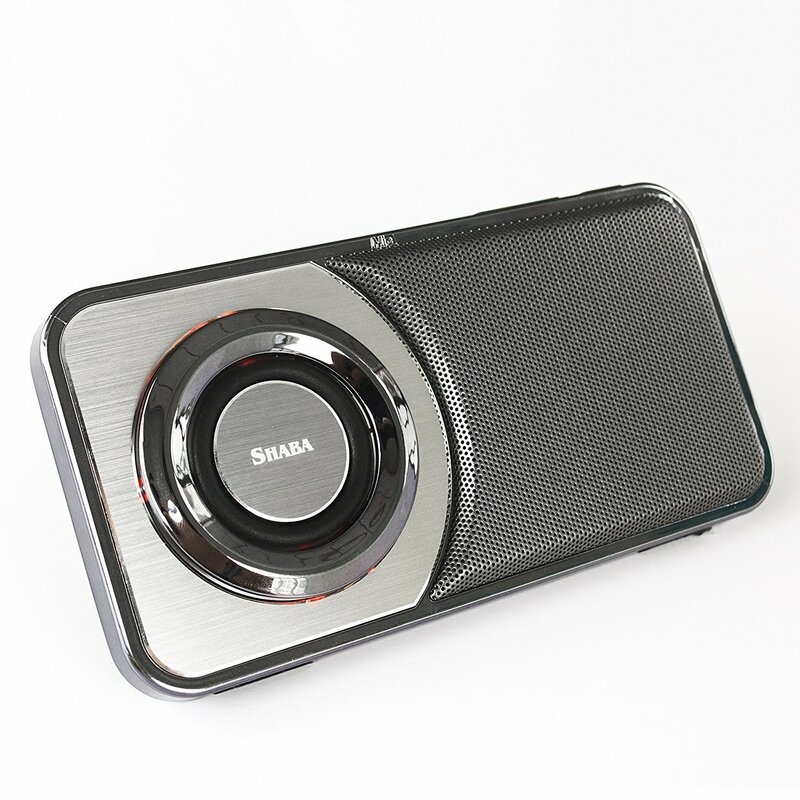 That's why I'm pretty excited to tell all of you about SHABA Ultra Slim Pocket Bluetooth Speaker. I was shocked when I first heard the sound quality from this little speaker! This little bluetooth speaker is the size of an iPhone6, seriously. It looks like a high end speaker, it has electroplated finish on the side frame and rubber finish on the rear side for a great touch. It looks very sleek. High end driver and aluminum speaker cone is used and distortion reduction is added to the circuit board for superior sound. The LED light changes with the music too, this is an awesome little speaker! 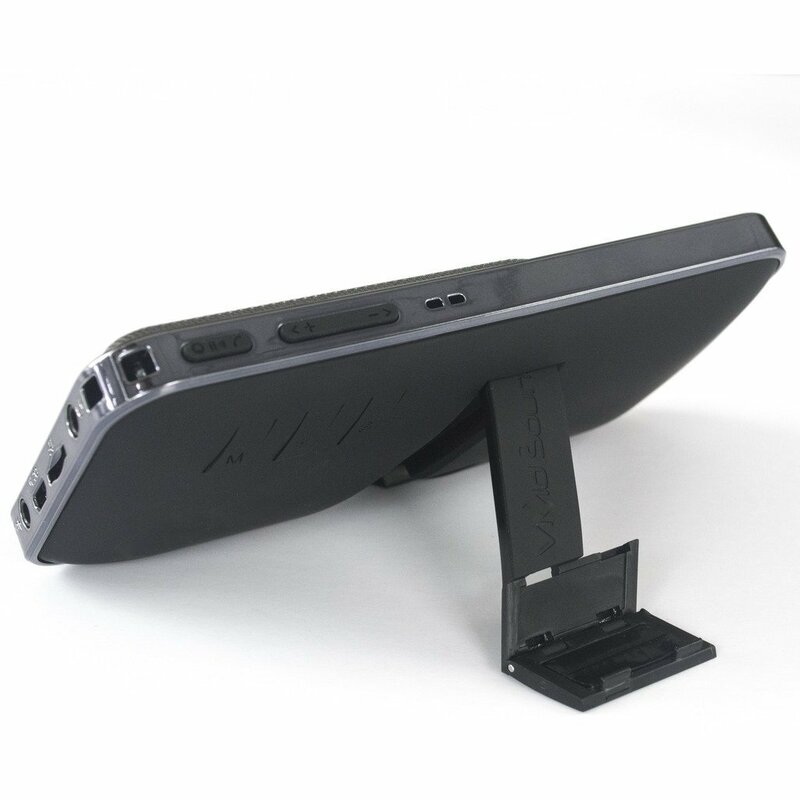 I really like the foldable stand on this speaker, it makes this truly hands free. The size makes this speaker portable, you can take it anywhere, inside, outside, a family dinner, walking, wherever you go, this speaker can go too. It can also be used for conference calls, FM radio function so you can listen to the radio, or there's a record function so you can record a message or music. There's also an auxiliary input for devices that are not bluetooth.